Esteban Ocon has revealed that he has turned down the chance to race away from Formula 1 for 2019, as his hopes for a race seat in the series continue to disappear. Ocon is expected to leave the Racing Point Force India F1 Team after two seasons with the Silverstone-based outfit, with Lance Stroll set to be announced as Sergio Pérez‘s team-mate – following Lawrence Stroll‘s investment into the previously cash-strapped team this summer. Stroll’s current team, Williams Martini Racing, are still working on securing a lucrative deal to finance the signing of Ocon to partner his fellow Mercedes AMG Petronas Motorsport junior, George Russell. 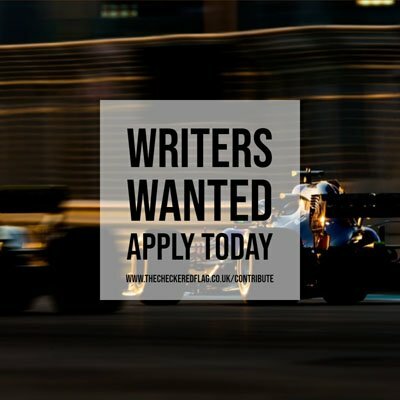 Despite Williams looking like the 22-year-old’s only option for a full-time F1 seat next season, Ocon says that he would be content with a testing role with parent team Mercedes and has turned down an unknown drive outside of F1. It is believed that Verizon Indycar Series teams Schmidt Peterson Motorsports and Dale Coyne Racing expressed an interest in Ocon. “If I don’t race next year I will choose to stay close to Mercedes and try to learn as much as I can from them. Maybe do some testing here and there if possible, and work close to them. Before inheriting Rio Haryanto‘s seat at Manor Racing in mid-2016, Ocon was placed in the DTM series by his manager and Mercedes F1 boss Toto Wolff. However, the German marque’s abandonment of its DTM programme at the end of this year put an end to a repeat move. Yet Ocon explained that he is not bothered by that, suggesting that he would not gain any more experience from it. “I don’t feel like I have experience to gain if I go somewhere, which I have already done before,” he added. Ocon did cede that the Williams situation is out of his control, but said that his focus is fully on ending the season strongly with Force India. The team stands 15 points behind the sixth-placed McLaren F1 Team in the Constructors’ Championship with two races left. “What I know is that it is not in my hands,” he admitted. “It is not in my managements’ hands either.